A fantastically spacious, interior designed, ground floor one bedroom apartment facing the courtyard is available within this newly converted, warehouse style, gated development on the River Thames. The apartment boasts a large open plan kitchen and living area. The fully fitted Metris Kitchen is complete with Miele appliances including an integrated dishwasher, washer/dryer, full height fridge freezer, oven, hob and integrated extractor fan as well as a Caple wine cooler. The bathroom comprises full bathroom suite with underfloor heating whilst the bedroom with its bespoke mirrored wardrobes and automatic lights is also sure to impress. Further benefits of the apartment include a Crestron audio visual system, a digital video door entry system and pre-wiring for Sky + TV. With its riverside location, Palace Wharf is also conveniently close to a number of transport links including Hammersmith Overground and Underground Station, Barons Court, Putney Bridge and Fulham Broadway Underground Stations, along with several regular and varied bus services which further improve accessibility. 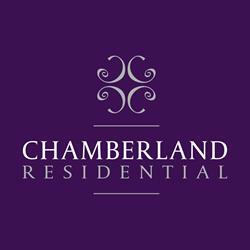 Chamberland Residential are proud to market this beautiful three bedroom apartment set within this prestigious gated development and located within a fantastic location for the green spaces of Putney Heath. This property offers many unique features including its mansion block exterior surrounded by manicured landscaped gardens as well as tennis/squash courts. Inside the flat, it features a wealth of natural light and space with a large hallway as well as modern fixtures and good storage, a separate fitted kitchen, a contemporary bathroom with a separate shower cubicle and a further WC off the kitchen, three double bedrooms, a large lounge with wood floors and big windows overlooking the beautiful communal gardens. Further benefits would include a porter service and off street parking. EPC band E.
Chamberland Residential are delighted to market this three double bedroom apartment located moments from Earlsfield train station and the popular bars and restaurants on Garratt Lane. Arranged over two floors, this property comprises three spacious double bedrooms, a large open plan kitchen/living area with dishwasher, private patio garden and modern bathroom. Further benefits include gas central heating, double glazing and neutral decoration throughout. Parking is available via a permit from the council. EPC C.
Chamberland Residential are proud to market this spacious two double bedroom garden flat set in a beautiful period conversion, located within walking distance of East Putney tube station and Wandsworth Park. The flat comprises of a large reception room with wooden floors, opening out onto the garden; a separate kitchen; two spacious bedrooms with built in storage and a tiled bathroom. Parking is available via a permit from Wandsworth Borough Council. EPC band D.
A modern two double bedroom conversion flat located conveniently for the Train station as well as the shops and restaurants of Putney High Street. Based in West Putney, this top floor flat has an immense amount of character whilst offering modern elements throughout. Features include built in cupboards in both bedrooms, excellent storage throughout, two modern bathrooms (one ensuite), a contemporary kitchen with gas hob, manicured communal gardens and off street parking in the back on a first come first serve basis. EPC band D.
An incredibly spacious two double bedroom apartment located in Central Putney and moments from the Tube, Overground and all the amenities of the High Street. Offering excellent storage throughout, this property comprises two double bedrooms both with built in storage, a spacious lounge, a contemporary kitchen with plenty of storage and a modern shower room. Further benefits include communal gardens, communal bike racks, gas central heating and excellent storage throughout. Parking is available via a permit from the council. EPC band C.
A beautifully finished three double bedroom apartment located within walking distance to Surbiton town centre and train station with quick links to London and Waterloo. The property is decorated to a high standard and offers a separate fitted kitchen with dishwasher, a large bright lounge with dining area and beautiful wood flooring, three good sized double bedrooms and three further hallway cupboards with excellent storage. The property further benefits from loft space and communal gardens. Parking is available via a permit from the Council. EPC band C.
A beautifully presented interior designed one bedroom luxury flat located only a few minutes walk to East Putney Tube station, as well as the High Street with all shops and restaurants. This property oozes style and character throughout with modern fixtures and fittings. Features include an open plan living room and kitchen with real wood flooring, a gas hob, a contemporary bathroom with shower, a double bedroom with built in storage and access to a private juliette balcony. This property is perfect for professionals who commute. Parking is available via a permit from Wandsworth Borough Council. EPC Band C.
** HEATING AND HOT WATER INCLUDED ** A newly decorated one bedroom apartment located only a few moments to the High Street and both tube and train stations. The property has a new modern bathroom with shower, a beautiful fitted kitchen, a bright lounge and a large bedroom with excellent storage. Further benefits include wood floors in the living area, access to communal gardens and the heating and hot water are included in the rent. Offered part furnished, this property would most suit a professional couple or single person looking for a short commute. Off street parking is available on a first come first serve basis via a permit from Wandsworth Borough Council. EPC band C.